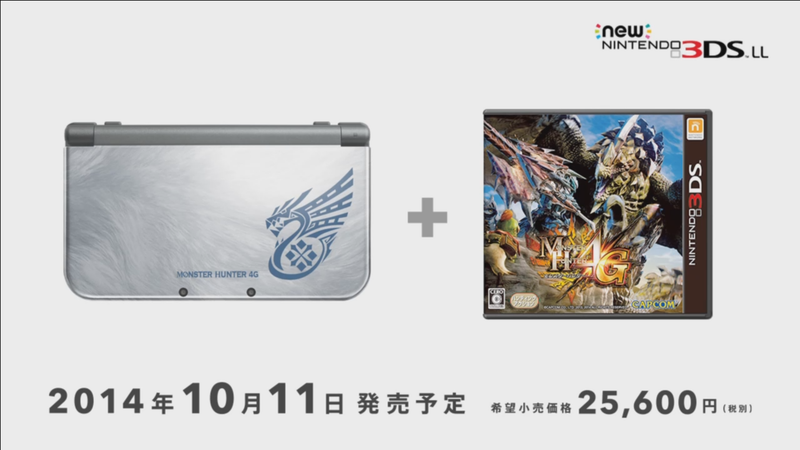 A Monster Hunter 4 Ultimate-New 3DS XL bundle will be going on sale in Japan on October 11. A Monster Hunter 4 Ultimate-New 3DS XL bundle will be going on sale in Japan on October 11. It will cost 25,600 yen, or roughly $245, and it includes the game, and a 3DS XL unit with a nice silver finish from Nintendo's upgraded 3DS line.